I’m not talking about waiting tables or tending bar. I’ve had a lot of jobs. One day at my current day job, someone asked me how many I’ve had. After counting, I realized that I have had over 30 days jobs. Some of them were great day jobs for actors. Others not so much. Here’s the run down of the jobs that I have seen work out best for actors. Interior Designer – Most designers work as consultants, setting their own hours. They work independently while creating their designs & plans. After plans are drawn up, Interior Designers will often oversee the work that is done on the home or office. Some get heavily involved with the decoration or installation while others merely implement and oversee the plans. eHow has a great article on becoming a designer. Personal Trainer – Great for fit actors who are good teachers. Personal trainers often have the benefit of setting their own schedule. The pay is good but you have to build up a client base. You must complete a minimum education requirement and pass a certification exam to become a trainer. Freelance writing – If you consider yourself a decent writer, you might try finding some gigs as a freelancer. Elance.com is a great resource for freelancing. Companies often need ad copy, website copy, technical writing, and other forms of writing done, and you can build up a great client base by creating great work. Graphic Design – As more and more companies build websites and create online content, the need for graphic designers has exploded. If you are handy with Photoshop, Illustrator, and other design software, then you could make a career here. Graphic designers often work from their home or the local coffee shop. How to be a graphic designer. Read about Graphic designer & artist Alex Gerasev. Programming – I have a friend who works out of his basement. He gets paid not on the hours that he works, but on the projects that he completes. He has quite a bit of flexibility in his schedule and he makes enough money to support his wife and two children. SEO & Internet Marketing – SEO stands for Search Engine Optimization. While there is a lot of technical things that need to be learned when it comes to SEO, but creative people tend to do really well in search marketing. To learn a little more about the SEO field, visit Aaron Wall’s SEOBook.com. Research Assistant – College professors (especially the busy ones with lots of grant money) need smart, self starting assistants who can help them with … well, research. Whatever that is. The bonus part: research assistants often set their own hours in what often amounts to years long research projects. As long as you don’t get a crazy professor as your boss, you’re golden! Event Planner – If you throw a killer party, you might try being an event planner. It’s a great gig if you can land those all important corporate clients. A little bit of salesmanship, a constant smile, and one very organized indivdual can lead to a great second career. Promotional Modeling – I’ve done this myself on occasion. Don’t let the term modeling confuse you. As long as you aren’t too short and it doesn’t hurt to look at you, most promotional companies will take you. What do promo models do? Show off cars, hand out goodies, take pictures next to important people. Do a Google search for promotional modeling companies near you. Photography – I won’t say who, but a certain friend of mine has made a career out of photography and he didn’t have any experience before he landed his first big gig. He did a good job with it and got some great referrals out of it, so it all worked out. Not everyone can do that, but if you’ve got an eye for composition, lighting, and beauty then you can make a great side income as a photographer. Especially with weddings, where photography packages are often in excess of $3000. What about you? What days jobs have you seen other actors succeed at? I love this post. I’m a headshot photographer in the DC area and I always like to have helpful and relevant info for my acting clients! Than you so much for writing this wonderful, insightful and resourceful article. 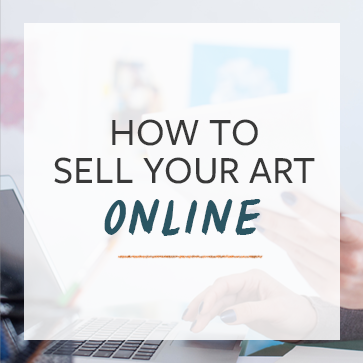 The article empowers artists to create their own source of income utilizing their innate talent/skills and not merely rely on the traditional 9-5 job. Reading this is so timely for me because I’m currently at that point in my life. I let go of my corporate day job of a high salary, excellent benefits, and security for the freedom of pursuing my acting/comedy career and it’s a wonderful feeling, but I’m not used to being broke and I started temping to build my bank account back up…now commercial auditions are rolling in. This article is a reminder from the Universe to me that there is a way to earn an income without giving up 9-10 hours a day to a desk job. Lastly, I’d like to share 2 additional great income opportunities for actors/artists: 1)Contract Corporate Trainers. I’m a certified corporate trainer and this one the best gigs outside of performing I’ve ever had. You’re contracted to deliver presentations or training to sales groups, executives, managers, new employees, etc. on whatever materials given to you. Trainings are normally 2-3 days, but you get paid as if you worked 2 weeks. 2) Direct Sales Industry – I have a jewelry business through a direct sales company and this gives you the opportunity to be your own boss, while earning an unlimited income…you set the bar for yourself…choose your own hours. There are literally thousands of great direct sales companies, such as the most popular, Avon, Amway, Mary Kay and Herbalife. Hi Sheilah. I hope you don’t mind answering this question. What direct sales jewelry business do own? I’ve been looking for the right one. A great company for getting promotional modeling side jobs is Attack!Marketing.com. 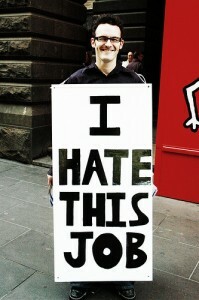 They have jobs as random as flash mobs, hair show models, food samplers etc. You set your profile up at Attacktalent.com which takes about 5 minutes online if you have your heashot, full body shot, and resume ready and from there they email you when jobs come up in your area. The pay is $16-$35/hr depending on the gig and you are paid via check or direct deposit 30-60 days later but more towards 30 days. Great article. But I’m an architect by trade here in LA as an actor and filmmaker. The firms that I’ve worked for demand that a designer be in the office on the computer, drawing cad files and construction documents. If you’re talking about going out and being your own boss, then yeah, you can set your own hours and call the shots. But the person who’s paying your check expects to know where you are pretty much at all times. How that allows for going out on 1-3 auditions per day, is the “riddle me this”. And then Lord forbid you book something. All that said, I am open ears on the “strategy of not starving”. Very nice post. I can personally attest to programming being a great day job for not just actors, but anyone who wants a steady income with enough time to dedicate themselves to their ‘other career’. There’s plenty of contract work out there that lets you set your own hours. Of course that’s assuming you’re interested at all in programming, because getting started does take a lot of effort and it’s certainly not for everyone.